As mentioned in December, SCOUTS South Africa (SSA) has partnered with Hot Buttons, an independent Research Company, who is conducting a research for us. Globally Scout Groups lose hundreds of members annually that drop out of the Movement. 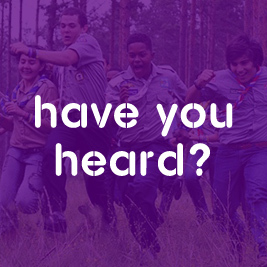 SSA is now involved in a research project which should enable us to identify the reasons for children joining Scouting, why they leave or why they do not even consider joining the Scouting Movement. Over the years we have gathered information, but it is all anecdotal. In order to give us a better understanding and to drive the growth of our Movement, we have obtained donor funding to cover the costs of an independent professional research company. The benefits of hiring an external independent company are among others that all interviews will remain anonymous and the interviewee will not be disclosed to SCOUTS South Africa on National, Regional, District or Group levels. The individual will also not be able to be tracked back to your specific Scout Group. The Research company, Hot Buttons, will randomly select people not involved in Scouting and get to the reasons why it has not been considered. They will also interview parents that have children in Scouting and also interview parents of children that have left the Movement before they turned 18. Stringent agreements were made to protect our members, however access was required to conduct the interviews. For this purpose SSA signed a contract with the research company with regards to access to contact information of parents in order to conduct the research. As a research organisation they adhere to the South African (SAMRA) and European (ESOMAR) code of conduct which has very clear and strict rules on how to treat respondent data. We would like to thank members who emailed the research company with data pertaining to members that have left the Movement in the last 2 years. They have enough respondents at present. For further enquiries please feel free to contact me on ceo@scouts.org.za.